The forthcoming 2019 Subaru Outback is a 5-passenger SUV that offers great versatility. 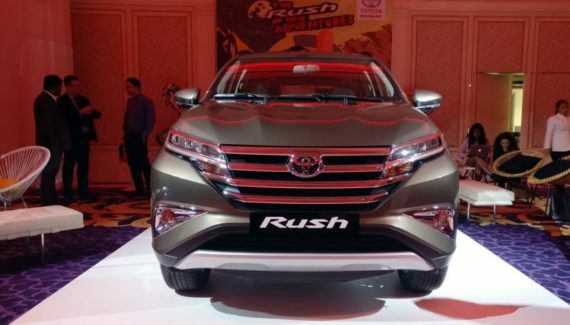 Moreover, Outback is an all-wheel-drive model that comes with a spacious cabin and a pair of efficient engines. The price is fair for such a useful and model SUV. Safety rating is high and the interior offers latest driving assist features. The 2019 Subaru Outback will get mid-cycle update both inside and outside. The exterior will see some styling changes and refinements. This model now makes a lot fewer noise thanks to the retuned suspension and there are more sound-insulating materials for the quieter cabin. The interior will get the latest infotainment system and latest features that are up to date. The transformation of the exterior still continues. 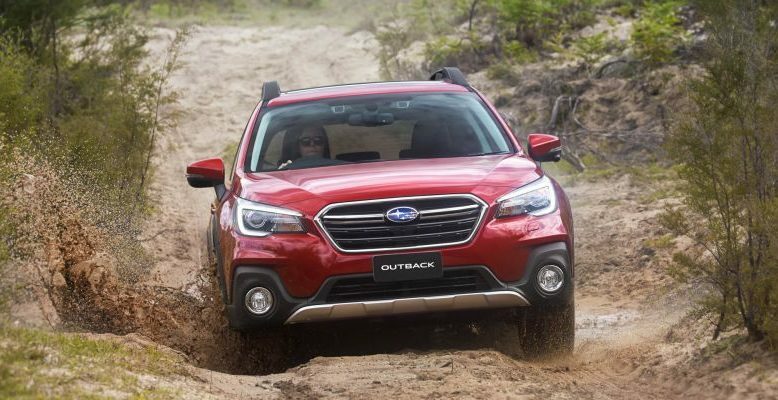 Outback managed to transform from a wagon to a modern crossover SUV and latest updates are providing additional SUV-like stance. The most visible updates are up front. The hexagonal grille will remain and it now sports a Subaru’s logo. The headlights are now available with the steering-responsive system. Lower body cladding is a nice piece of styling, and the new roof racks are looking subtle. The doorsills are now made in that way that you can use them as a step for easier access to the roof. Thanks to that, strapping stuff such as bicycle are a lot easier now. Upper trim levels are offering 18-inch wheels, while the 17-inch wheels are standard. Generally, the exterior looks handsome and the ground clearance is high. Subaru Outback now sports more sound-insulating materials, the cabin is quieter and the ride is smoother. Moreover, new suspension is making this crossover quieter from the outside as well. 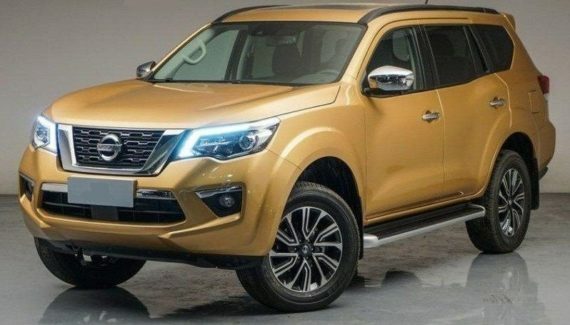 Dimensionally, the newest SUV has a wheelbase of 108.1 inches, length is 189.6 inches, width 72.4 and height 66.1 inches. The upcoming model 2019 Subaru Outback will get some new colors and some of them will be the same as in the previous one model. There are exactly ten colors that include Crimson Red Pearl, Crystal White Pearl, Crystal Black Silica, Dark Blue Pearl, Ice Silver Metallic, Tungsten Metallic, Magnetite Gray Metallic, Twilight Blue Metallic, Wilderness Green Metallic and Heritage Blue Metallic paint. All of the 2019 Subaru Outback models are offering room for five passengers across the two rows of seats. Perhaps the strongest point of this crossover SUV is its interior room. The legroom is ample, even at the second row and the cargo area is great. The cargo room is rated at 35.5 cubic feet and folding the rear seats flat opens up to 73.4 cubic feet of space. The seats are comfortable and the standard cloth upholstery feel upscale. All of the controls are easy to use and access. You can opt for the optional leather seats that are standard on upper trims such as Touring. Generally, you can equip you Outback to look and feel premium by loading more options. 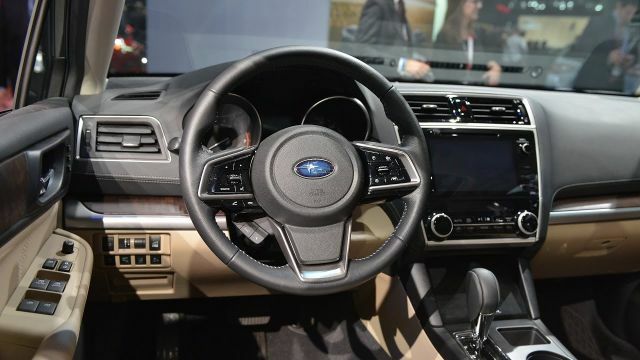 The biggest change for the 2019 Outback is the infotainment system. Starlink infotainment system now supports Android Auto and Apple Car Play. Moreover, Sirius XM is in the offer, along with the apps such as Pandora. Premium trims are offering new and larger 8-inch touchscreen that is very functional and user-friendly. Navigation is available as standard and the safety amenities are astonishing. Subaru is paying special attention to the safety department and all of the company’s vehicles are offering great safety rating. The 2019 Subaru Outback is no different. Even the base model offers great safety aids such as a backup camera and multiple airbags. Subaru’s EyeSight safety system is optional and it offers the latest systems. That includes adaptive cruise control, emergency braking, lane-departure warning and lane-keeping assist. Moreover, adaptive headlights are available, along with the reverse braking system and the blind spot monitoring. The approaching 2019 Subaru Outback comes with two drivetrains. The standard unit is a proven 2.5-liter boxer with the four cylinders. The Boxer engine is capable of producing up to 175 hp and 174 lb-ft of torque. Fuel economy is rated at 25 mpg in the city and 32 mpg on the highway. Moreover, the optional drivetrain is a 3.6-liter boxer with the six cylinders. 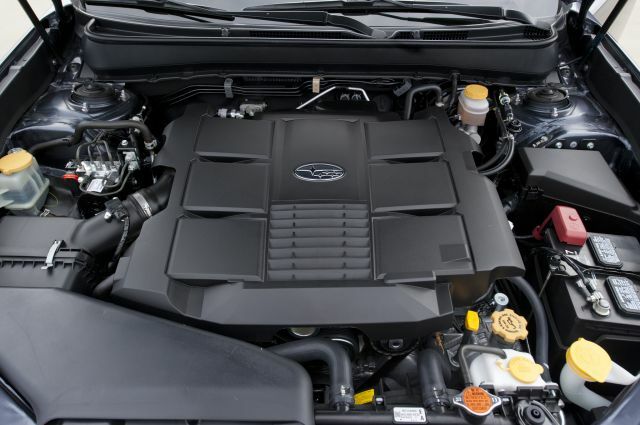 This engine delivers more power, and the mileage is lower. 256 horses and 247 lb-ft of twists are great figures for this crossover. However, 20 mpg in the city and 27 mpg on the highway are significantly lower figures when it comes to the fuel economy. With the full tank of 18.5 gallons, this SUV can travel 370 miles in the city and 499.50 on the highway. Both engines are available with the CVT transmission and paddle shifters for manual control. Subaru is a well-known deployer of an all-wheel-drive system and this system is standard on all of the models. Furthermore, an X-Mode system is available for low-speed traction. Additionally, Torque Vectoring at high-speed is in the offer and it provides much greater stability. New Outback can tow up to 2,700 pounds. Subaru’s latest crossover SUV will cost $28,000. The price includes the base model with the 2.5-liter engine. 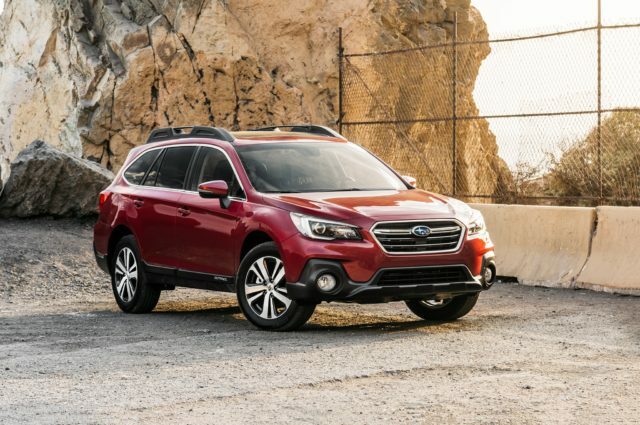 Moving up through the trim levels, Premium models will cost $30,000 and the Outback Touring $38,000. Fully loaded 2019 Subaru Outback cost slightly over $40,000. These prices are more affordable than the price of the Ford Edge. On the other hand, Kia Sorento and Hyundai Santa Fe are available for less money, but without all-wheel-drive setup. All-new Outback will go on sale in the last quarter of 2019.